The new Infinity-O display design of the Galaxy S10 and S10+ requires a novel case-making approach that just barely wraps around the extremely thin top and bottom bezels. 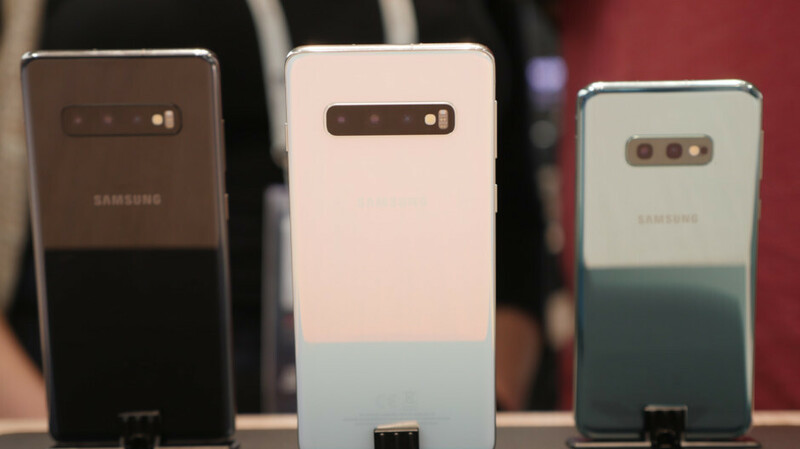 The different camera setup on their backs also means that accessory makers had to rework their wares for the fresh design in comparison with the Galaxy S9, S9+ or even the Note 9, whose dual-camera setup is arguably the one that the entry-level Galaxy S10e uses. This is why we are rounding up some of the best thin, light and elegant cases and covers for Samsung's newest trio of flagships to help you choose what to wrap your precious with when you order. What can be more barely there than the original Barely There line by Case-mate you ask? Well, not much, at least until brands like Peel release an S10 case, but Case-mate already have their thin and form-fitting wrapper for the S10e, S10 and S10+ in stock, so you will be able to get it before your new phone hits the doorsteps, and the Barely There ultra-thin 2mm profile will be waiting for the flagship to fall into its soft and loving, but firm embrace. On top of it, the cases are now 25% off, and compatible with wireless charging, so hurry up if you want to grab one on the cheap. Samsung unveiled a bunch of cases and intriguing accessories together with the newly-minted S10 family. Some of those are pretty well thought-out, too, so you might pick one of the official wrappers to go with your fresh S10. Buying an all-glass $750-$999 phone and hiding the shimmering colors in a case is not everybody's cup of tea, but is somewhat inevitable. That is why Samsung has provided its Clear Cover line for the Galaxy S10 and S10+, adding an extra layer of protection, and at the same time showcasing the chassis colors through a thin 0.8mm transparent case that takes the color of your phone hue of choice. Last but not least, the Clear Cover line is Samsung's cheapest, so the case is to be about $29.99, like its previous iterations. Spigen needs no introduction as an accessory maker, and AirSkin is the thinnest in its case portfolio, created for those who don't want bulk and unsightly covers. This model is still to be announced for the S10 trio, but the minimalist AirSkin for the S9 and S9+ measured only 0.36mm in thickness, thanks to the enhanced polypropylene build. The AirSkin comes with a frost finish for better fingerprint-resistance, which also offers a better, more comfortable grip, all for about twenty bucks, or even less on Amazon. How about a 100% clear case that is thin, durable, and won't break the bank for your Galaxy S10 or S10+? Olixar's FlexiShield ultrathin case fits the bill, and then some, as it comes with unique gel material used has a non-slip coating that provides you with extra grip for your phone, which minimizes the chance of dropping your device. The FlexiShield is Olixar's slimmest portfolio, and thus the case keeps the added layer to an absolute minimum for an uninterrupted view and feel of your shiny expensive new phone. Samsung, $30 for a clear case, i don't think so, lol Thats as bad as someone else with a overpriced clear case, lol I have boughton clear cases on ebay for $20 and less. Mind to share links? I'm looking for some cases and Dbrand skins for the S10. Thanks.